During inspection reports for machined fittings we compare the CAD file to the part with our Master 3D gauge CMM. Then we compare the report with tolerance and specks on the prints. 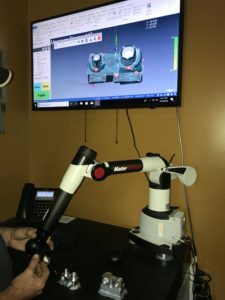 By using this system, we are able to double check for errors between our customers CAD files and prints; which saves our customers time and money to replace the machined fittings. We also do inspection reports and save records of inspections with our JOB# and programs.